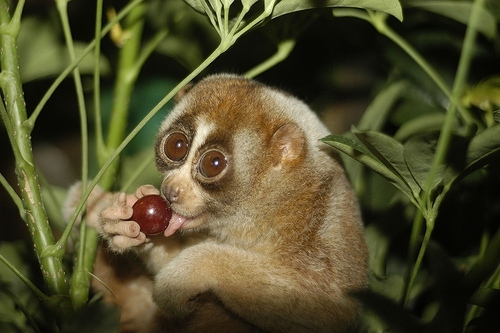 Most people find big-eyed animals fascinating, and for good reason: they are downright adorable! 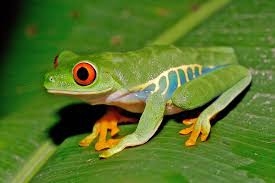 But there are many scientific reasons why evolution has created animals with big eyes. Vision is a very important part of survival for animals, and so their eyesight has become very good. For some, this includes eyes that are larger than usual. If you are looking for an animal with big eyes, look no further than these pretty creatures. This tiny, squirrel-like creature has a typical body shape, but the eyes are to die for. It is actually a primate, found in the jungles of South Eastern Asia, and it is unique because it’s a fully predatory primate. It hunts birds, lizards and insects. This animal with big eyes actually has the largest eyes relative to body size of any other creature. Their eyes are fixed, and so to look around, they have to swivel their head. These are little fish that spend most of their time at the top of the water, where they feed on insects. Technically they only have two eyes; however, the eyes are divided in such a way that the fish can see underwater and above the water at the same time, thus creating their unique appearance and name. The fish has to dive completely every now and then to keep the upper eyes from drying out. These big eyes are also very weird-looking. They are huge, with vertical pupils and a series of pinholes that open at night to allow in the maximum amount of light. In fact, they can see up to 350 times better than we can in dim light – for us, darkness might be a hindrance, but to them it can be as bright as day. They have no eyelids, and their eyes are patterned for camouflage. This is a gorgeous, sweet animal that appears to be completely harmless – but it excretes a toxin from the sides of its elbows that can cause shock and death among humans. Those big eyes make it look innocent, and the size is that of a little baby you might want to rock to sleep – but beware of the toxin’s deadly touch! 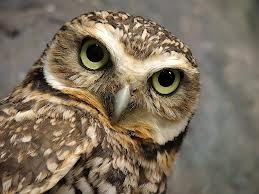 These gorgeous birds often have enormous eyes, such as the case with the barn owl. In fact, their eyes might account for up to five percent of their body weight. They have binocular vision, which means they can see just as well as we do, if not better. They can see very well in low light. 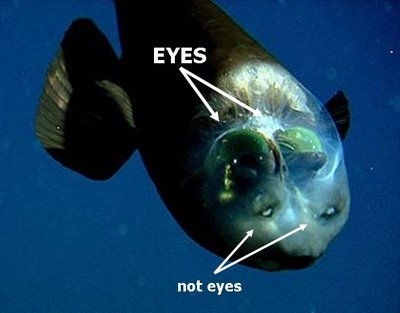 Actually, their eyes are so well-developed that they are not actually eyeballs at all, but rather a kind of tube. That’s why they have to turn their head to see. 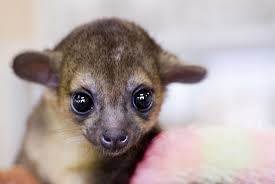 This is an adorable animal with big eyes, related to raccoons, even though it looks a little like a ferret. It has other unique characteristics, such as the ability to run forward or backward on its feet, grasp things with its tail, and the ability to live up to 40 years. And though it has very sharp teeth, ninety percent of its diet is fruit. 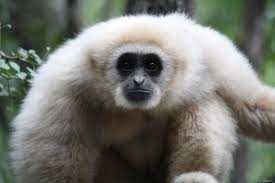 The gibbon is a primate known for swinging from one branch to another as their main mode of transportation. They are very sweet-natured, form monogamous pair bonds and help each other out in everything they do. Their big eyes give them an angelic, adorable look to go along with that sweet disposition. These adorable little critters have enormous eyes, a pretty shade of green skin and a mouth that looks like a smile. They are often very tiny, making them even prettier than you might expect them to be otherwise. Their unique feet have what looks like tiny cups, which seems to help them suction to the branches as they climb. When it comes to the animal with big eyes that seems to be “all” eyes, the dragonfly is your creature. The dragonfly has such large eyes that they cover the entire head, making it look like it’s wearing a big helmet. Their eyes are actually made up of over 30,000 visual units, and this allows them to have a full 360 degree view. 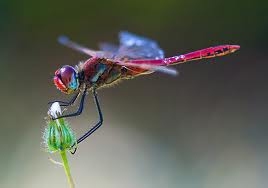 Besides that, some dragonflies actually have three smaller eyes that can help them see in low light. You will likely never see a spookfish in the wild, as they live over 1000 meters below the ocean surface. But if you ever did see one, you would think you had seen a ghost. The spookfish has a mirrored eye structure that allows it to gather more light, and it also has a usual retinal lens. This unique nature means that it can look up and down at the same time. And those eyes are huge!